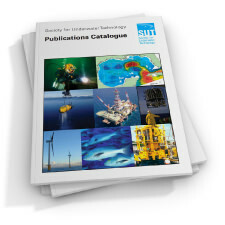 Abstract: The role of remotely operated vehicles (ROVs) in underwater engineering is reviewed with the conclusion that the main market in the short term will be the offshore industry. The principal offshore tasks for which vehicles may be used are considered with the main technological challenges identified as structure inspection and underwater welding. Possible improvements to vehicle configuration to improve performance and handling are discussed and the importance of good man–machine interfaces stressed. More advanced concepts that may become practical as a result of advances in computing and communications are introduced. 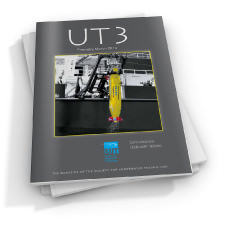 Abstract: The reconnaissance survey of the UK continental shelf being carried out by the British Geological Survey (BGS) has required the development of a suite of remotely controlled seabed sampling tools. This paper describes the development and operation of one of these tools, a microprocessor controlled seabed rockdrill capable of coring solid rocks with the additional capability of being able to take vibrocore samples in unconsolidated deposits. 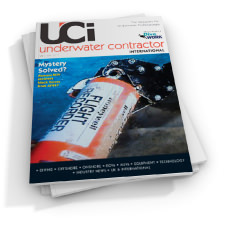 Current survey demands require the sampling equipment to operate in water depths up to 300m. the rockdrill has been designed to meet this requirement, to give an extended capability exceeding 1000m and to interface with existing and proven handling systems. Abstract: Interest in the seismic response of offshore structures has increased in recent years since petroleum and gas exploration has been extended to seismic zones worldwide. The seismic design of foundations for offshore structures involves two basic steps−the definition of the seismic risk, and the incorporation of that risk into the foundation design. the first step requires experience and judgement in the interpretation of regional and local seismotectonic conditions, in order for an appropriate design level of seismic risk to be defined. the actual foundation design is then achieved after quantitative analyses have been performed. These may involve liquefaction, dynamic bearing capacity and soil–pile–structure interaction studies, depending on the soil conditions present and the type of platform under consideration. Procedures for defining seismic risk are presented, and the factors which influence the assessment are illustrated using a case history from the North Sea. The criteria for constructing the design response spectra and synthetic time histories compatible with the seismotectonic environment at a particular site are also described. Foundation design analyses for earthquake loading are then examined. the procedures involved are illustrated for the case of offshore pile groups subjected to seismic load. It is shown that the techniques selected to simulate the dynamic response of complex structures, such as jacket platforms on pile foundations, can have a significant effect on the computed performance, as simplified methods of analysis can produce erroneous results especially if closely spaced higher modes of dynamic behaviour exist. The presentation indicates the importance of engineering reasoning to all aspects of seismic design for offshore structures. The combination of earthquake and wave loading by means of dynamic analysis allows the behaviour of offshore structures to be more closely predicted. Four case studies are given in which bending stresses have been observed in piles during hammer impact. In the first, offshore piles driven through followers experienced a trebling of the blow count as a result of energy lost in bending. In the second, test piles with strain gauges attached down their lengths were found to be banana shaped during hammer impact. In the third, instruments attached to the heads of concrete and steel H piles found major bending stresses in the piles when they were driven with diesel or drop hammers. the final study concerns instrumented piles and conductors driven into calcareous sands and silts. The instruments showed that during driving the conductors suffered greater bending than the piles. This led to greater degradation in the soil surrounding the conductors and hence the mobilised skin friction on the conductors was less than on the piles. Abstract: The life support system of a one–man submersible basically depends upon the satisfactory removal of exhaled carbon dioxide and the subsequent make up of oxygen to the correct mixture. The equipment used for this duty must be designed, manufactured, installed and maintained to extremely high standards to ensure correct and reliable operation with an endurance being provided for periods well in excess of normal dive times to allow for the ‘entrapment’ situation. It is considered that duplication of equipment providing life support is necessary to allow for unforeseen malfunctions on individual pieces of equipment. To ensure that the internal atmosphere of the craft is maintained at the correct level suitable monitoring and alarm equipment must be provided; this should include cabin pressure and levels of O2 and CO2. When designing a life support system it is necessary to consider not only normal operational conditions but the effects of malfunctions upon the pilot and the remainder of the craft. 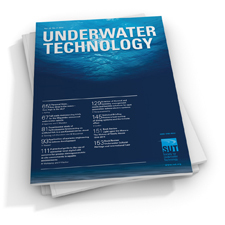 These aspects are considered in this paper particularly related to the solutions applied for the one–man submersibles Mantis, Wasp and Duplus. Abstract: Measurements of the absorption of carbon dioxide by sodalime have been made under laboratory conditions in the temperature range of 4 to 24°C. A continuous flow system was employed at gas mixture velocities sufficient to overcome film mass transfer resistances external to the particles of sodalime. The variables investigated included gas flow rate, temperature and concentration of carbon dioxide in the gas mixture. A feature of the work was the measurement of axial temperatures at different positions in the absorbing bed. The sodalime was found to be effective as absorbent (although with a reduced capacity) down to 4°C. Possible mechanisms for the overall process are discussed in terms of the results obtained. Abstract: The application of numerical models to determine currents in the shelf seas surrounding the British Isles is described. Both two–dimensional models are considered. Problems involved in the determination of the vertical structure of current are discussed; to resolve these, a combined programme involving the measurement of current profiles and the use of three–dimensional models is suggested. Abstract: One of the earliest recorded diving fatalities in which hypothermia was identified as a major factor occurred in 1969 during the Sealab III experiment. At a depth of 189m and water temperature of 7°C, one of two divers experienced a convulsion, lost his mouthpiece and was found to be dead on reaching the surface via the PTC. He was not wearing a heated suit. In 1973, the Johnson Sea–Link submersible became fouled at 100m. Two observers were compressed to 24m eq. depth on air and subsequently 107m on He/O2. Both lost their lives, and this was attributed to the high pressure He/O2 environment at approximately 6°C. In another early incident, on the Borgny Dolphin installation in the North Sea, a diver at 140m lost his communications and life–line, was brought to the SCC by another diver but found to be dead on reaching the surface. In this case, death was believed to have been caused by hypoxia compounded by cold and over–exertion. 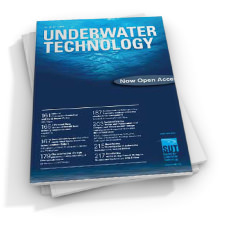 Abstract: This paper reviews aspects of the underwater environment which have an influence on range and bandwidth of long distance acoustic data transmission. This subject was considered as part of a case study to establish the power and acoustic communications requirements for a subsea satellite oil production well. The study was for a specific installation at 10km range and in 200m water depth. Abstract: Some aspects of the importance of currents and wave/current interaction to engineering design applications are discussed, with emphasis on the near–surface zone. Problems involved in predicting design current profiles and in combining extreme horizontal velocities of wave orbital motion and total current flow are considered. This is followed by a discussion of several possible methods of extending the still–water–level design current profile to other water surface elevations during the passage of a wave. Lastly, related areas of theoretical and experimental research are discussed and the need for extensive field measurements is stressed. Abstract: A novel approach to the derivation of geological information from drill process monitoring is discussed. The need for a quantitative lithological classification to assist in the correlation of geotechnical laboratory test materials to field conditions is stressed. Such a classification is proposed and examples given of its use as the basis of a pattern recognition approach to the extraction of geological information from drill process monitoring. The present lack of vibration monitoring in the drilling environment is discussed in relation to the concept of rock ‘specific energy’, and recommendations are made concerning further work. The BP Magnus Project: Platform Topsides − The Selection Process involved in the Layout, Design, Modularisation and Eventual Construction. Abstract: The paper covers the 3½ year period between the contract award in November 1978 and the sale away from the fabrication yards in April 1982. To develop concept into reality many decisions had to be taken, options examined, and selections made while undertaking the task Matthew Hall had to accomplish within the terms of their contract with BP. The reasons for selecting the sizes of modules and options examined in selecting principal items of equipment are briefly discussed. The philosophy adopted in arranging the equipment within modules and then arrangement of modules themselves is also outlined. It is the contractors responsibility to recognise the clients requirements and pay due regard to hi s preferences. At the same time, from a background of experience the contractor has to ensure that all options are examined, recommendations made, figures checked, weight and costs considered and other relevant aspects fully evaluated in order to confirm the validity of concepts already held or to establish the need to consider new alternatives. How does one select fabrication yards where modules as different as a 200 bed hotel, process plants, drilling facilities or a 75 megawatt power station are being considered having lift weights varying from 300 to 2400 tonnes? The philosophy adopted is examined together with the method of bringing the best 4experience of MHE to bear in close liaison with the client’s representatives. Abstract: In this technologically advanced age, in which Man is constantly pushing the frontiers of science to previously undreamt of limits, there remain few areas outwith the boundary of man’s dominion. Yet, as the exploration of space pushes out to the far reaches of the solar system and beyond, there are few who consider that vast, mysterious and largely unexplored territory − the ocean. Water, the most precious, yet most abundant substance on Earth, blankets 70% of the planet’s surface to an average depth of 2 miles. Influencing our life and our climate in so many ways, its immense size and power has for centuries precluded all but the most brief of excursions into this alien realm. Abstract: The purpose of a marine umbilical cable is to connect a surface station, for example a ship or buoy, with an underwater station, for example a remotely–controlled vehicle. It typically provides two–way communications, for telemetry and/or video signals, and electrical power supplies. It must cope with repeated tensile loading, flexible, abrasion, hydrostatic pressures and occasional mechanical abuse. The cablemaker’s approach to meeting such requirements is described, with particular references to cables incorporating optical fibres. Examples are given of designs evolved for three widely–differing applications. Abstract: Just over a year ago the SUT awarded me the first prize in the first MSc scholarship competition. The essay that won this award appeared in the Winter 1983 issue of the Journal. It is a fair question to ask what I have done in the past year, and how my views of underwater psychology have changed. My purpose in writing this article is twofold. First, to let the Society know what I am doing at present, and secondly to inform people reading this, particularly those in industry concerned with ROVs, production platforms, pipelaying, NDT work and so forth, why underwater psychology is a subject worthy of notice.